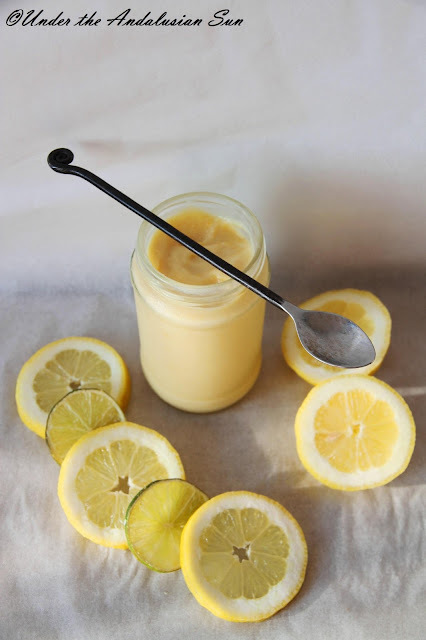 Lemon curd is a firm blog favourite. Its tangy, sweet creaminess does require a grown-up palate, but it does reward with its versatility. It can be used on toast, as filling for cakes and tarts (either as is or mixed with cream, cream cheese or crème patisserie). I like it as a swirl in Turkish yoghurt and topped with toasted nuts for breakfast treat. Stored in beautiful jars with hand.written labels it would also make a pretty gift. Just remember that home-made doesn't have any preservatives, so the shelf life isn't that of a shop-bought one. For meringues, however, this doesn't work. As the Facebook- followers have already witnessed. So, I combined it with meringues and (inspired by that crème brûlée) Turkinpippuri crumbs into an ice cream. 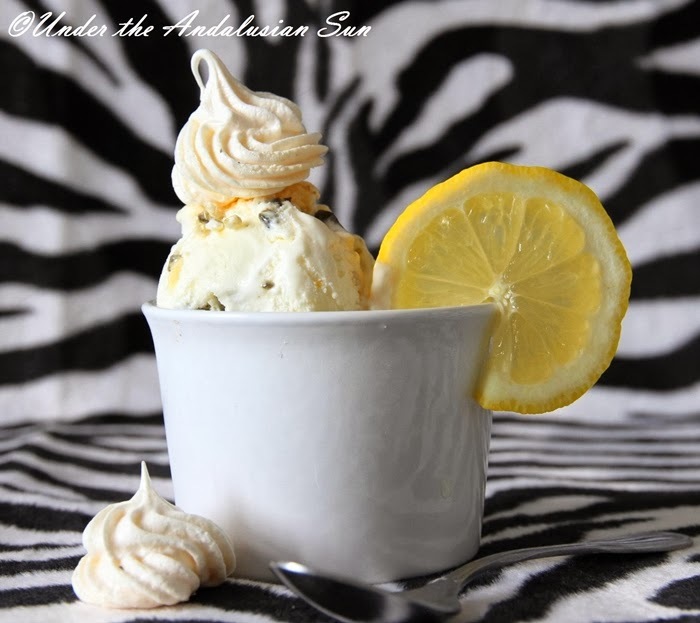 The ice cream is based on the basic recipe that also acted as the foundation for Thaice cream. If you want, you can replace some of the lemons with lime. And of course you could make this with oranges too (in which case go easier on sugar!) or a mix of citruses. Meringues I made with the egg whites left over from the ice cream - you'll find the recipe here. Naturally you can use shop bought ones, in which case you don't need to pay attention to the drying process in order to make the home made ones dry and crunchy enough. But if that's what you're after, dry the meringues after cooking in the oven at 50° with the oven door open (wooden spoon makes a good aid for this) for a couple of hours. Grate the zest and juice the lemons. Mix with sugar and butter and heat in Bain Marie until butter has melted. Whisk the eggs into a foam and combine with lemon-sugar-butter-mixture. Let cook over moderate heat over simmering water for 10-15 minutes until it has thickened. Let cool. Once cool, store in jars and keep refrigerated. Whisk the yolks and sugar. Split the vanilla pod and scrape out the seeds. Add seeds and the pod into a pan with cream and glucose syrup and bring to boil. Mix in the lightly beaten yolks. Mix until smooth and drain. Let cool. Pour the mixture into an ice cream maker OR into a freezer-proof dish and place in the freezer to set. Mix a couple of times during the freezing process. When it starts to set but is still manoeuvrable, fold in lemon curd so it forms ribbons in the ice cream. Also toss in the Turkinpippuri crumbs. Meringue crumbs can be added at this point too, though I used mine before serving in order to maintain the crunchiness of my (home made) meringues. Freeze for at least five hours, but preferably overnight. Let soften a bit before serving and scatter in the meringue crumbs.